We are a group of central Illinois residents who have been fighting the Deer Run Coal Mine in Hillsboro, IL since 2004. We are opposed to coal mining practices such as longwall mining that destroy our fertile farmland, as well as coal ash and coal slurry disposal methods that threaten the health of our communities, lands and waters. 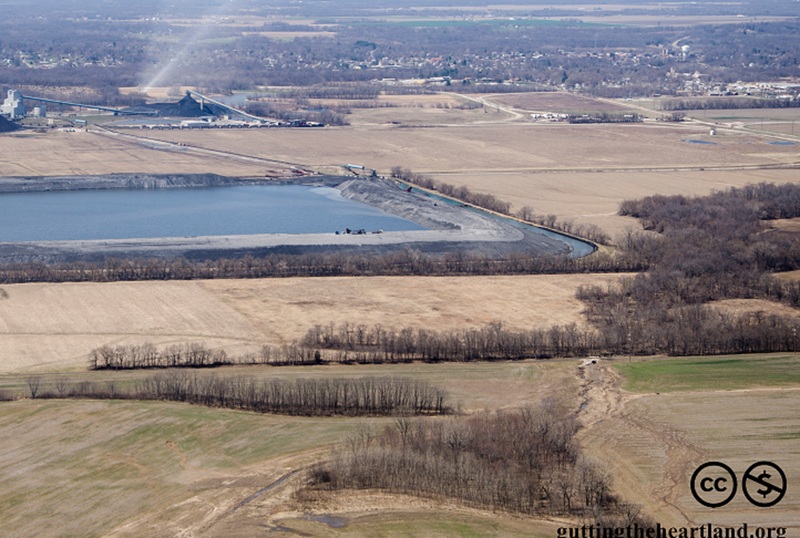 The proposed toxic coal waste impoundment will be nearly twice the size of the existing one pictured here. The Hillsboro Energy, LLC Deer Run Mine located within the city limits of the City of Hillsboro in Montgomery County has been a source of frustration for area residents since its inception nine years ago. The June 4th, Illinois EPA permit hearing regarding pollution discharges from a new, giant coal waste disposal area at the mine was no exception. Watch the documentary about Cline Coal's destruction of Illinois farmland (click here for full screen).